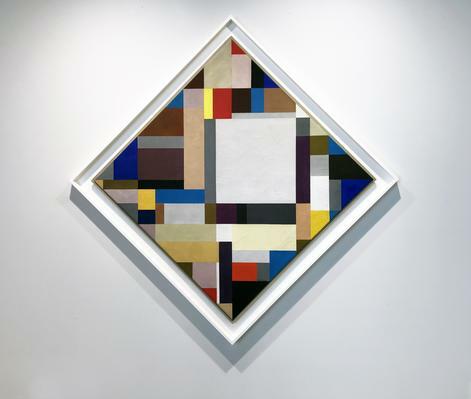 Abstraction in Three Reds, 1980, acrylic on canvas, 48 x 96 in. 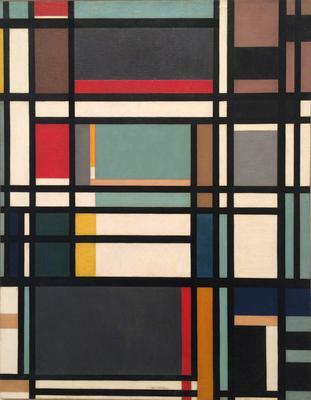 City Rectangle, 1948, oil on canvas, 34 x 26 in. 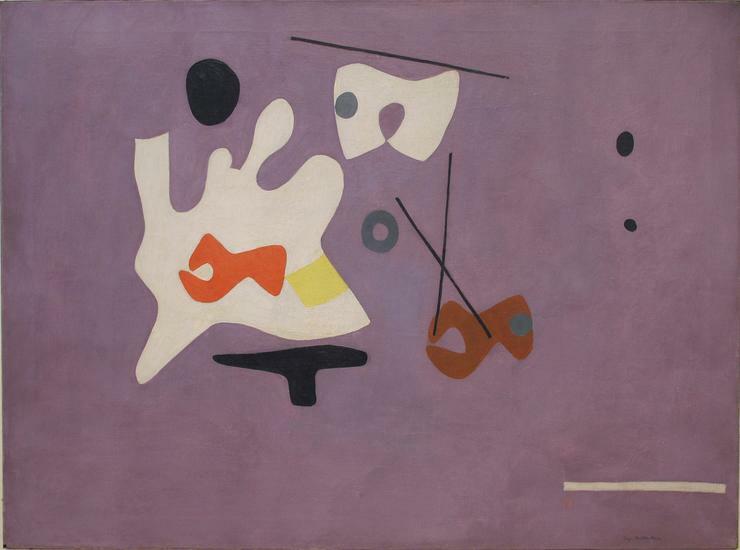 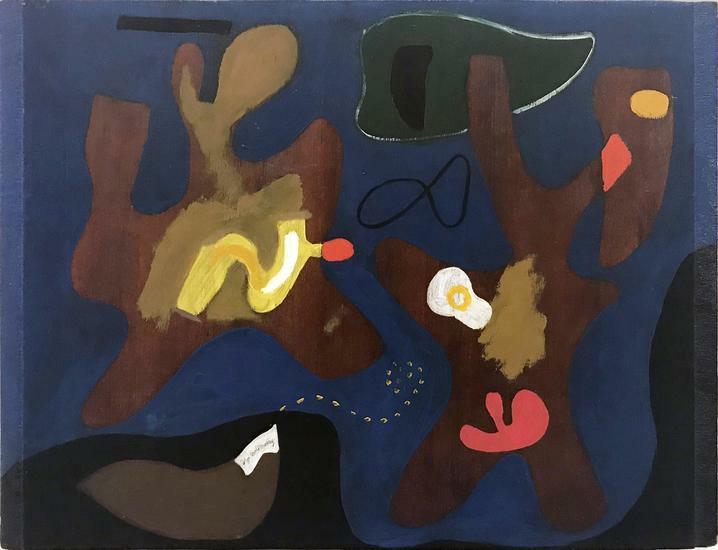 Umber, 1938-39, oil on canvas, 44 x 60 in. Cobalt Violet, 1938, oil on canvas, 30 x 40 in. 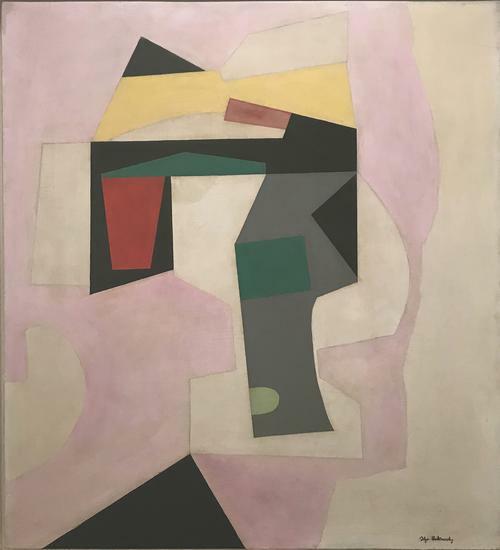 Abstraction in Pink, 1939, oil and gesso on masonite, 30 x 27 in. 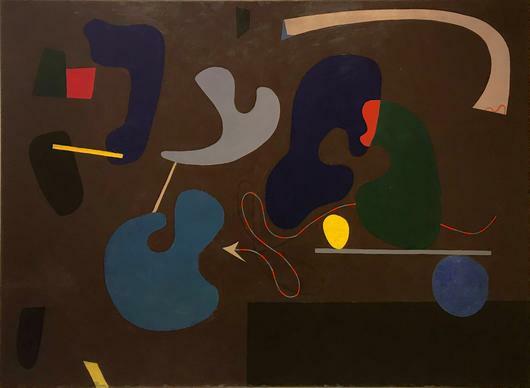 Black Light, 1950, oil on canvas, 22 x 34 in. 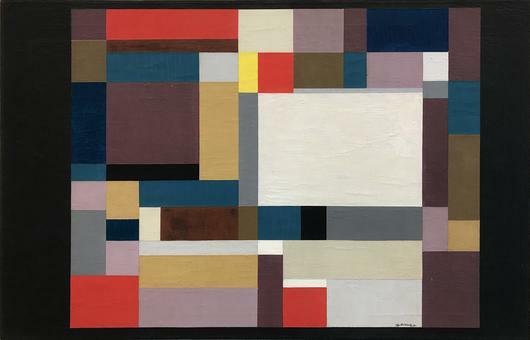 Small Biomorph, c. 1935, oil on board, 12 x 15 ½ in.